Happy new year, makers and fakers! I love old dressmaking books. I have so many now that new additions to my shelf of editions don’t often bring much illumination – you can only describe inserting zippers in so many ways – but they remain irresistable. And not so easy to find in op shops. On 2 January, trawling Frankston Savers with another sewing chum, I was delighted to spot a new one. And two copies of it so we didn’t even have to squabble over who got it. It’s the 1969 imprint of the 1964 McCall’s Sewing in Colour, a tome described in its flyleaf as “the complete sewing book”. My copy once belonged to Robyn Thompson in 2A. I expect it was her Home Ec textbook in the early 70s. I wonder if she sewed for fun or for necessity. Perhaps she made herself the clothes her mum wouldn’t, or couldn’t buy for her. The lists of fabrics at the start of the book include the exciting, futuristic proprietary names I see every now and then on clothing labels of the era – Acrilan, Orlon, Vincel, Terylene, Zephran – and I hope that Robyn wasn’t seduced by their sticky fibres. 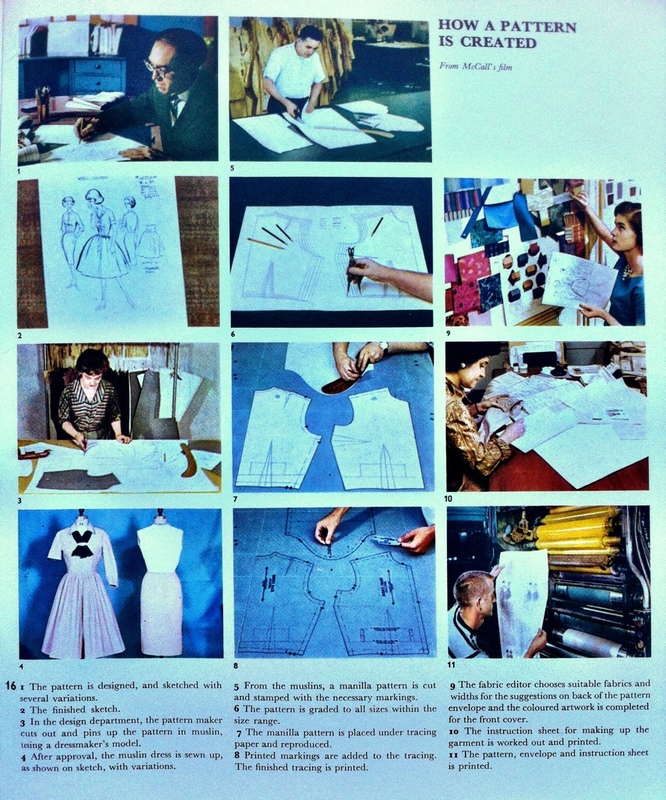 There is a fabulous page of stills from a McCall’s film (and how I would love to track it down!) showing How A Pattern Is Created. 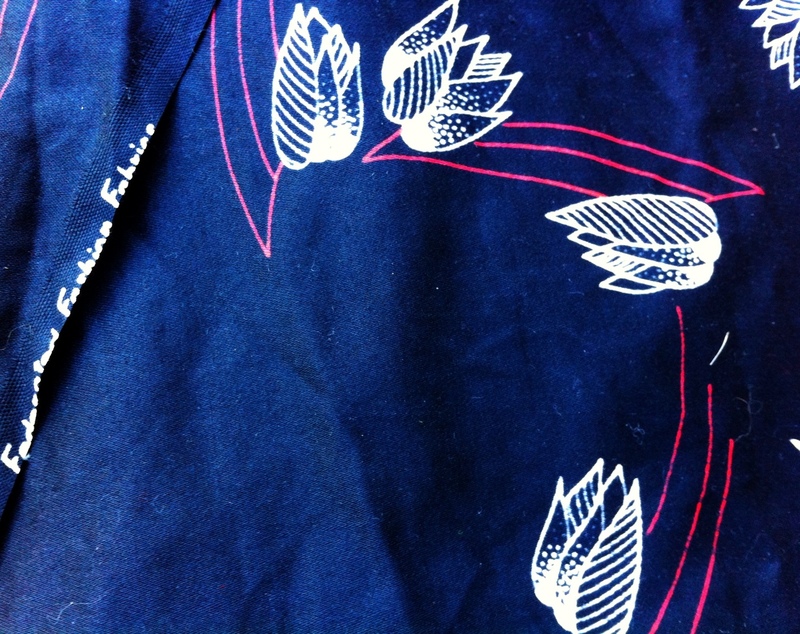 I also picked up four metres of a quite lovely old polished cotton stamped Federated Fashion Fabrics in the selvedge. Before I can start cranking out some seamstressin’, my poor old Bernina needs some service lovin’. The top and bottom threads look like they are having a prolonged argument. I hope my favourite sewing machine fixer-upper can get them playing nicely again. I know what you mean about owning many vintage sewing books. I’m currently in the process of comparing four of my 20!! 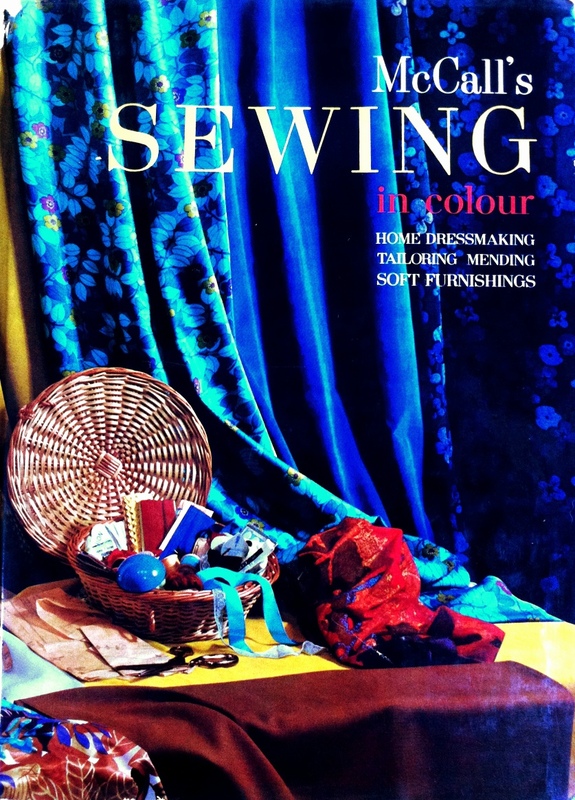 The Vogue Sewing Book, Better Homes & Gardens Sewing Book, The Art of Sewing, and the Betty Crocker (YES!) Sewing book to see what the major differences are. Oooh, I might have to research that film. Very interesting indeed. Betty Crocker?! I await your comparative review with eagerness!